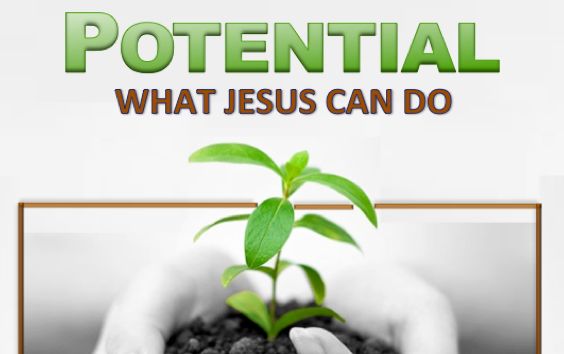 POTENTIAL...What Can Jesus Do? - Growing in Christ. Do you remember the WWJD craze? Credit for the acronym apparently goes to a Topeka, KS preacher. 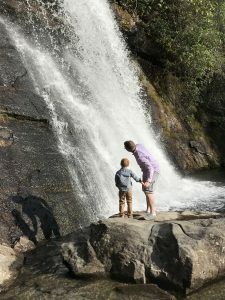 For over twenty years, Christians have claimed that acronym as a reminder to act like their Lord and Savior: “What Would Jesus Do?” Scripture calls us to love like Jesus, to serve like Jesus, to give like Jesus, and to lead like Jesus. The acronym challenges us to act just like Jesus would if he was living our lives. As Christ United Methodist Church celebrates another Pentecost, we are dreaming big about what could happen in our church and community. Nearly 2000 years ago the Holy Spirit moved in the first Jesus-followers in such a powerful way that over 3000 people gave their lives to Jesus. Thousands in those first few days surrendered their lives to Jesus Christ and began to live WWJD. Could that happen again? WCJD: What CAN Jesus Do? I’d like to give you a new acronym: WCJD = What CAN Jesus Do? As we pray for our church and our community and think through ways to reach out with Good News, we are actually dreaming about what Jesus CAN do. What CAN Jesus do in our families that are hurting and separating. What CAN Jesus do in our schools where loneliness and uncertainty currently own the day? What CAN Jesus do in our streets and alleyways to combat poverty, addiction, and helplessness? What CAN Jesus do in every grieving heart or fear-filled eye? As we dream about our church’s future, we want to imagine the incredible, miraculous potential of Jesus-followers convinced of everything Jesus CAN do. To witness the WCJD potential, we must let what Jesus CAN do in our community happen in our own lives first! The Apostle Paul called us ambassadors. We represent what Jesus CAN do too the world. If Jesus is not doing it in us, then Jesus won’t do it through us for others in our community. Let me say it another way: Jesus works through us what Jesus first did in us! God is literally urging people to find salvation and new life in Jesus through Jesus-followers who are vibrantly living salvation and new life in Jesus. WCJD: What CAN Jesus Do? Imagine a community where every person knows hope and eternal salvation in Jesus Christ. Imagine with me families committed to each other, where children are cherished and the elderly honored. Dream of a day when despair is a distant memory because compassion owns the day. Jesus CAN do these things in our community. Jesus CAN do these very things in our own lives. What CAN Jesus Do in you and through you?